Owning a house is a fantasy come true for many individuals and taking care of it in the best ways possible is what we need to do to be able to retain its beauty and longevity. As property owners, we need to be extremely cautious during the summer when high temperatures add to the risk of house fires. But still you’d be shocked how many people fail to keep up important matters amid all the outdoor activities each summer. Taking additional responsibility during the summer season is a must for everybody because seasonal habits during this time of the year like participating in many outdoor activities with friends and families often make us forget important safety safeguards. 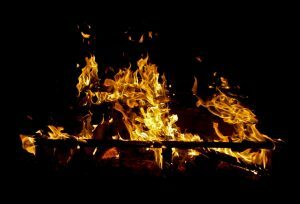 No one is proclaiming that you shouldn’t spend an afternoon outdoors having a great time, but you need to be aware that summer fires can sometimes occur in these instances. There are some actions you can take to reduce your risk of a house fire. Most people consistently work with a lawn mower during the summer. The bulk of lawn mowers run on gasoline and are likely to get very hot when using them. You’ll want to give your mower time to cool off well before you put it away in a place with poor circulation. Little doubt you’re aware that people usually keep a special container for storing gasoline to use with the lawn mower. This container has to be stored in an area where it isn’t going to be exposed to excessive heat or sunlight. This rule pertains to all fuel powered equipment inside or outside your house. Lawnmowers can also hit rocks and cause sparks that lead to fires. Extra attention needs to be paid when cutting dry grass. Another often overlooked aspect of fire prevention related to your lawn is trimming limbs and removing dead trees which can act as ladder fuels and catch your house on fire. Hire a tree removal service like Arbor Lawns to clear away the trees that are threatening your home and help prevent a fire. Most people enjoy having open-air summer barbecues with friends and family but there can be lots of distractions. When you’re the cook, you might have to look for stray children and pets running by the grill. Despite the fact that it is not a frequent occurrence, accidents may occur especially if you leave an open fire unattended. People are inclined to leave the barbecue grill near the back door as it’s more convenient to the kitchen but this can create a fire risk. Animals and children may accidentally come in contact with the grill and induce a fire to start. To avoid this type of accident, keep your grill located far away from the house and make sure to have someone watching it all the time. These simple steps are very standard and clear but in many cases they are being neglected or even utterly ignored. Always bear in mind that it is much simpler to prevent a fire than it is to fix the harm caused by one, and you can do this by watching out for fire hazards. When you decide to follow the suggested tips, you demonstrate to the ones you love how much you value them. You can enjoy your outside summer activities by continuing to keep an eye on what is taking place around your house and so avoid house fires. To defend your home and the ones you love from a possible fire danger, be alert and take the time to think about these tips.